The topic of moisture and how it affects depth is a hot topic with metal detectorists! Everyone has a theory but I’ve never seen a detailed study proving or disproving any of the theories. Many detectorists think moist soil increases depth and some think soil void of moisture increases depth, so who do we believe? It’s going to sound crazy, but I think they are both correct! 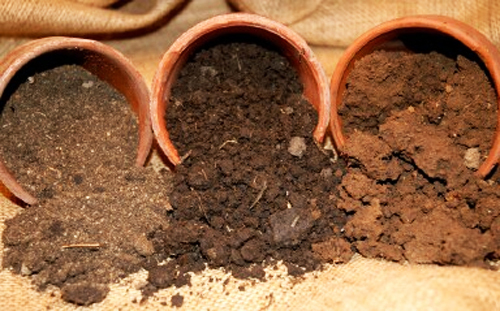 The answer lies in the soil composition. 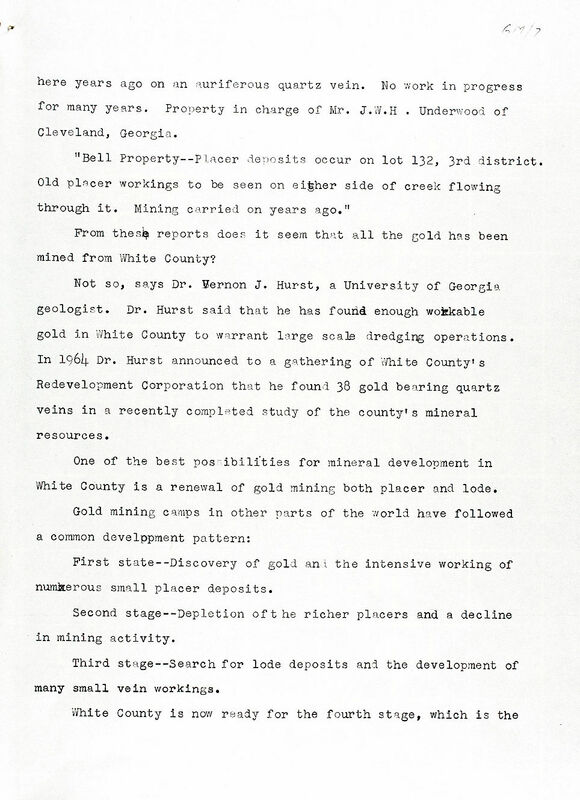 Here in the south we have a lot of mineralization in our soil, so moisture might actually reduce metal detection depth. A metal detecting electrical engineer has this to say about detection depth in southern red soils, “This type of iron oxide, because of its consistency, achieves a solidity or connection between iron particles making it much harder to reject when wet.” Essentially what he’s saying is the iron oxides impede the signal by masking out the good targets by creating one big iron target when the soil is wet! 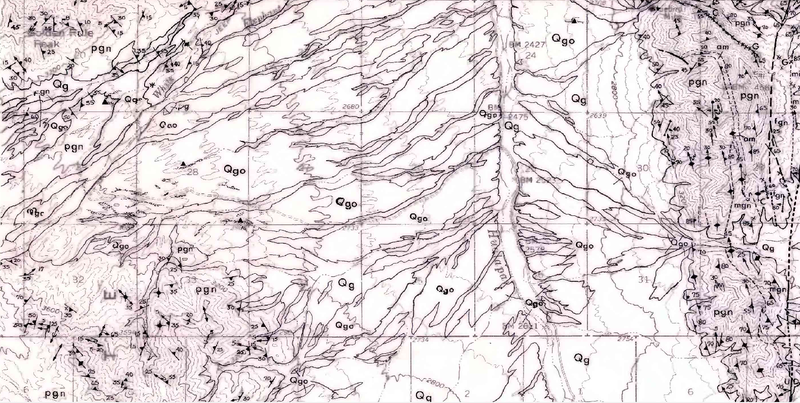 Highly mineralized soils, in particular soils with large concentrations of hematite, will loose detection depth due to the “clouding” effect of hematite or iron oxide. The iron oxide not only negatively impacts depth, but it also wrecks havoc on discrimination as well! Another negative of highly mineralized soil is what detectorists call phantom signals. The phantom signals are again caused by hematite or magnetite (black sand) and are basically signals caused by the soil mineralization instead of real targets such as coins or jewelry. The only solution to false signals is to turn down sensitivity until they go away. Theoretically, auto ground balancing machines should account for these moderate soils. In severe soil, it might sometimes be necessary to manually ground balance to eliminate these false signals or again reduce sensitivity. So what happens in non-mineralized soils? The general consensus is moisture enhances detection depth by increasing the conductivity of targets. 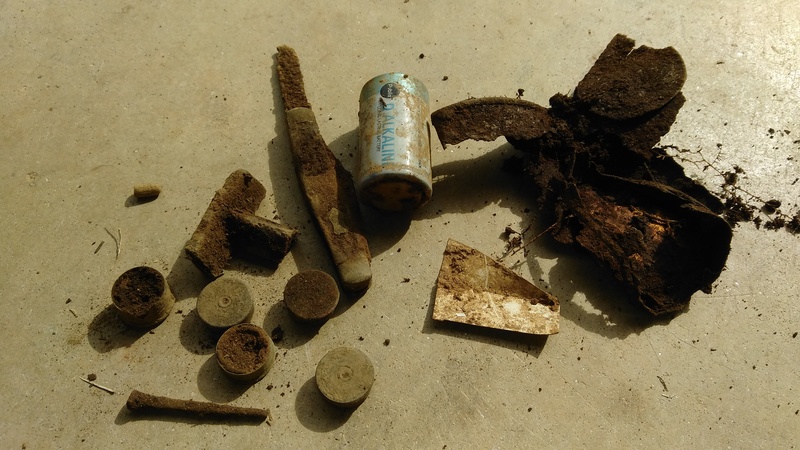 Non-mineralized soils essentially act like air and your metal detector should achieve similar depths as seen in air testing with the added benefit of enhanced conductivity during high moisture content. So both depth is increased and reliability of discrimination is increased, a win-win scenario for metal detecting in moist non-mineralized soils! This article only pertains to VLF or TR detectors and VLF type detectors probably suffer the most from highly mineralized soil. One alternative are pulse type metal detectors. Pulse detectors have a single coil for sending and receiving and work on different principles from VLF type machines. In fact, pulse detectors normally don’t have ground balancing, because they are not affected by ground mineralization and sometimes ground mineralization will add slightly to the duration of the reflected pulse thereby increasing depth of detection! However, even though pulse detectors offer greater depth in mineralized soil, they do not discriminate. In particular, pulse detectors have trouble discriminating out iron targets. One way pulse detectors can discriminate iron is by using very long time delays, however since silver and copper have similar characteristics to iron with very long time delays this method is far from fool proof. There you have it, moisture in soil is either a blessing or a curse. In southern states such as Georgia, Alabama, Tennessee, North Carolina and Virginia, you might want to wait to hunt in the drier months for the deepest signals. 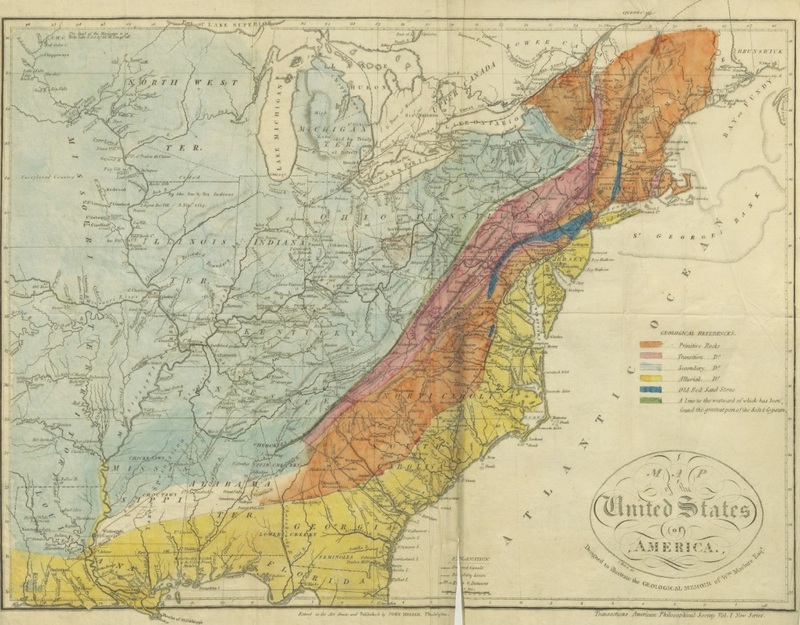 I’m sure there are other places in the United States such as Idaho or western states where highly mineralized soil is a problem, but these five states have the rich red soil that is a known problem. Up north or areas with little or no soil mineralization might even see increased detection depths when the soil is moist. 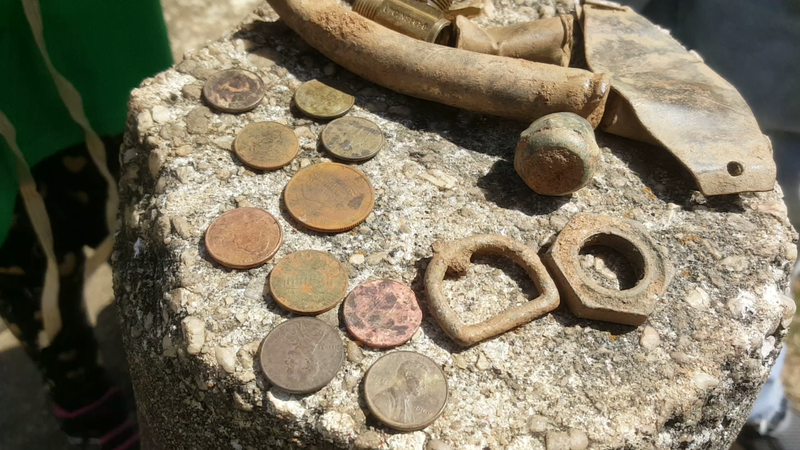 The finds left of the buckle and chuck-e-cheese token were found using a White’s Eagle II SL and the rest were found using a Minelab Equinox 800. The rock my daughter found and just liked it and decided to keep it! 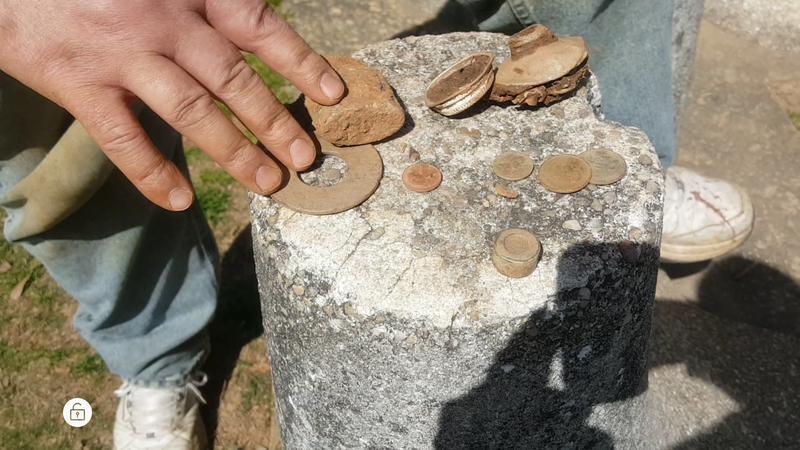 It goes to show you, you don’t need to find colonial treasures or rare silver coins to enjoy the day and spend it with family. We didn’t find anything special, but we created memories that are priceless. 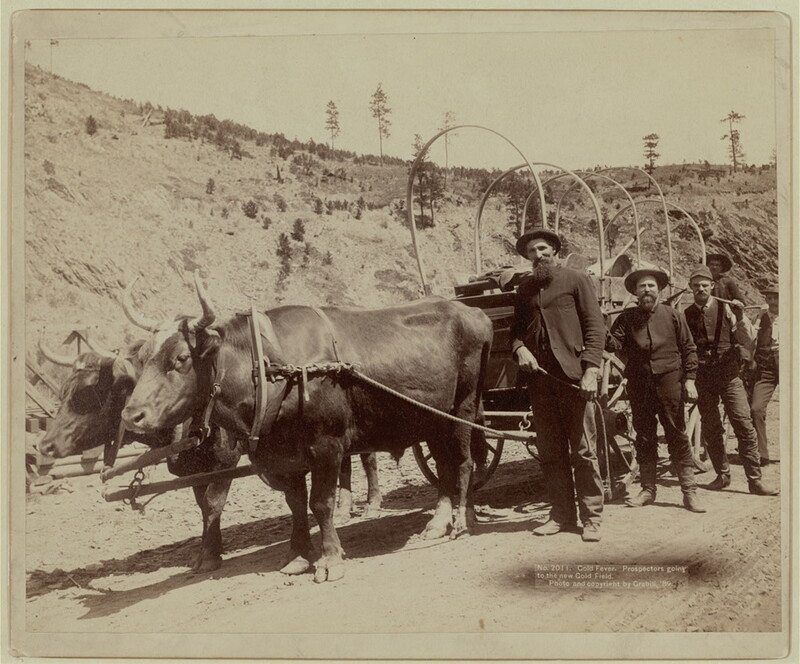 Whatever is your passion, gold mining, metal detecting, rock hounding, whatever, get off the couch and get out there and enjoy the day! You won’t regret it. 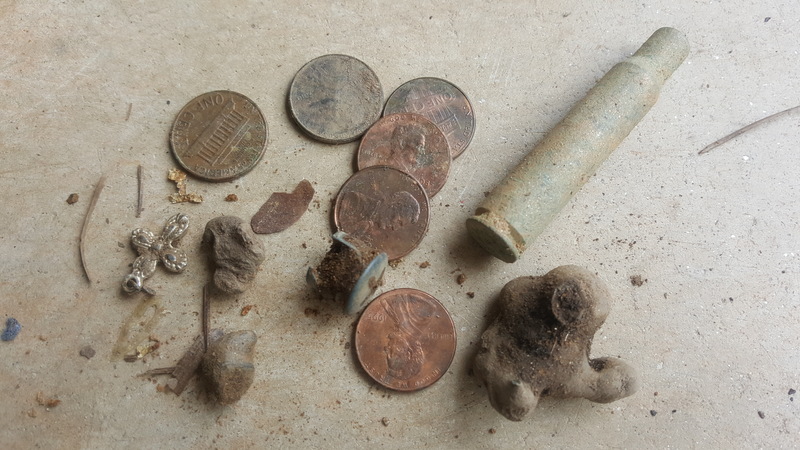 Yesterday my brother and I went metal detecting around a 1820’s grist mill! The grist mill is now a public park and has a wonderful covered bridge from 1902 onsite. We didn’t find much, but we had a great time exploring the outdoors. 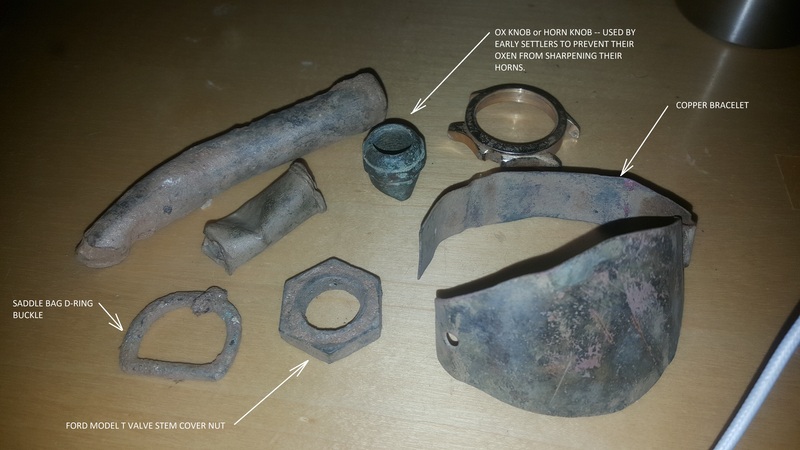 Metal detecting finds from 1820’s grist mill. As you can see from the above finds, we didn’t find anything from the original mill. However, the slag was found on a modern park pathway and I believe probably predates the park and is from prior activity on the site (the current park is relatively new, built within the last 18 years). We just barely touched the parks grounds, we never even made it past the covered bridge to the back half of the park. I’ll keep you updated on our progress and I hope to make it back to the park again soon. 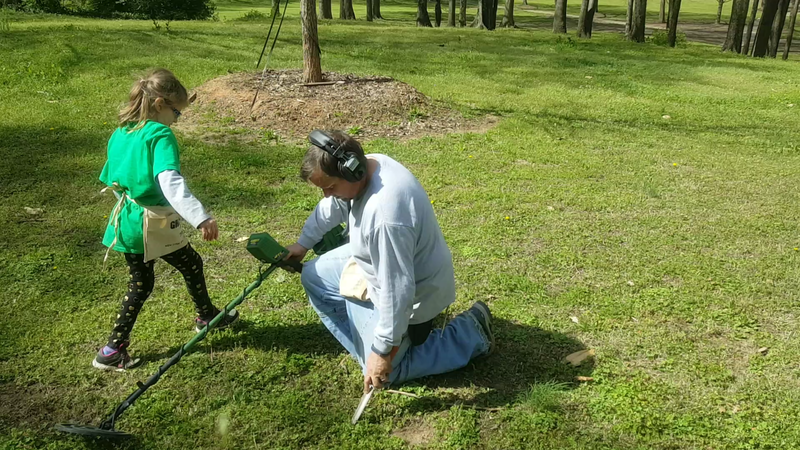 Mike metal detecting near where the cross and slag were found. You can see the 1902 covered bridge in the background. 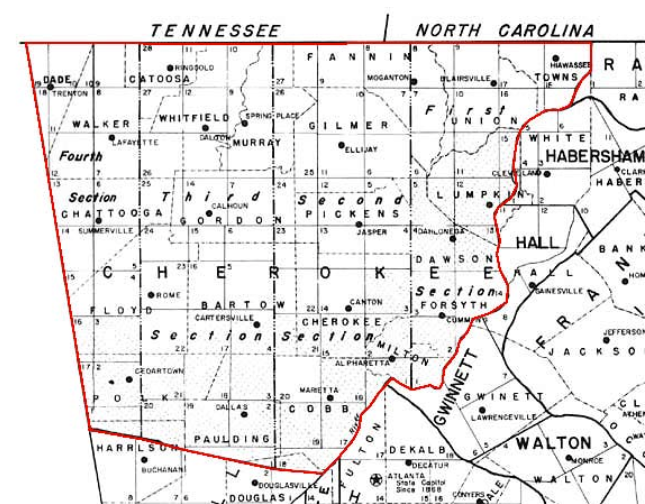 The original Cherokee county of North Georgia occupied around 1/4 of the current state of Georgia. 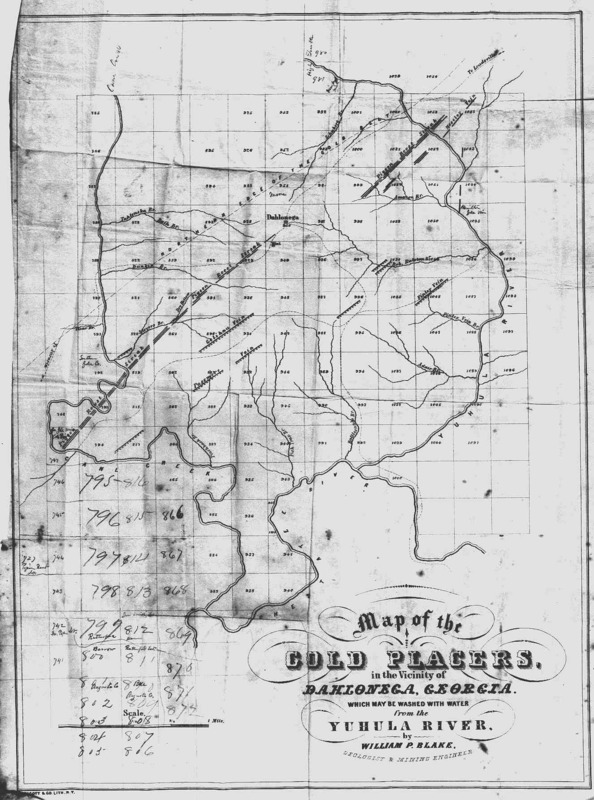 I spent a few hours tromping around in the woods of North Georgia in the region of the original Cherokee County looking for any relics from the 19th century or prior. The origin of these mounds are unknown. I think the theory relating to farmers stacking stones as they cleared a field seems the most likely. However, these particular rock mounds are on the side a of hill overlooking hurricane creek, which is not a great or easy place for farming! 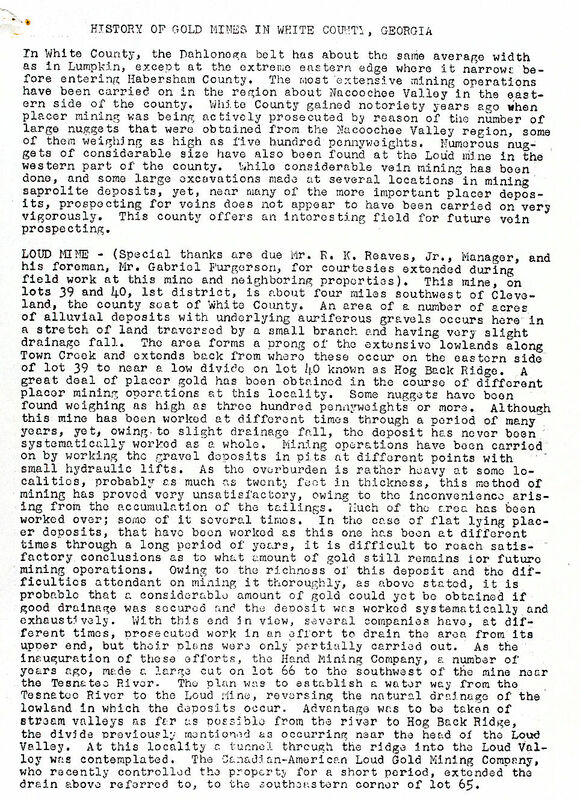 Another theory is the rocks mounds pre-date early Georgia farmers and were made long ago by Indians, perhaps during the Middle Woodland Period ( 300 B.C.–A.D. 600). 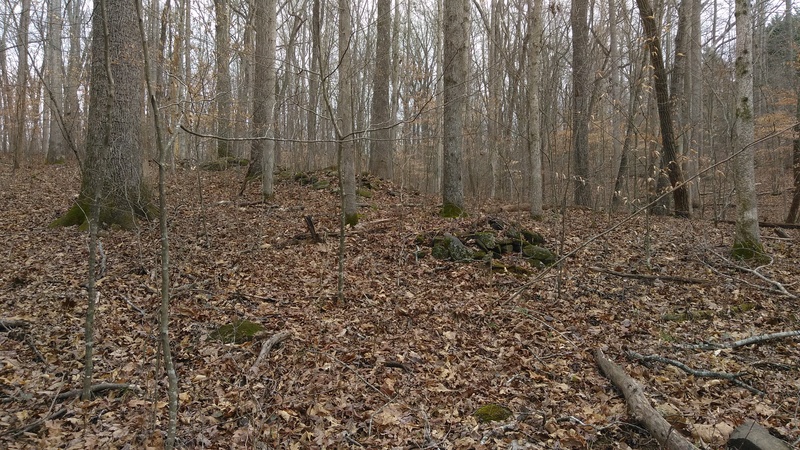 In addition, to these rock mounds, the area I was metal detecting is very close to the temporary trail of tears indian containment sites of North Georgia. 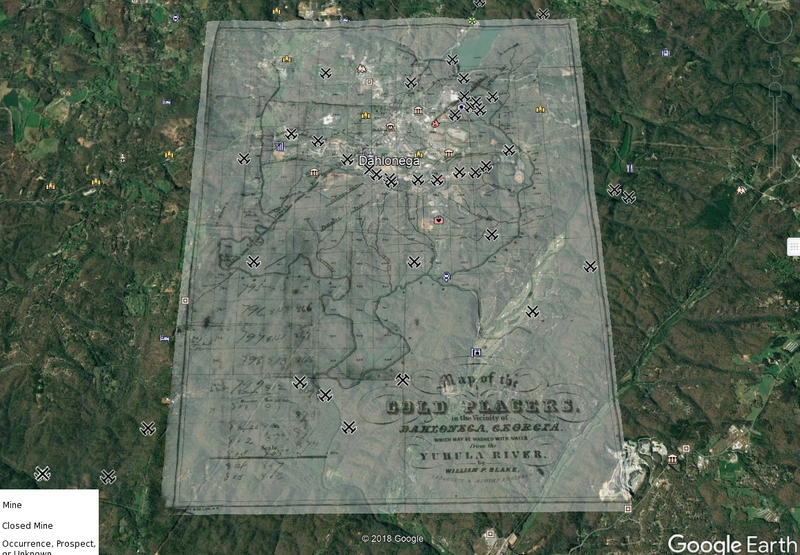 Over 20,000 Cherokee indians from the surrounding area were marched to Oklahoma by gun point. Only 75% survived the trip, the remaining died along the way. This is a sad fact from U.S. history and something no American should have condoned. 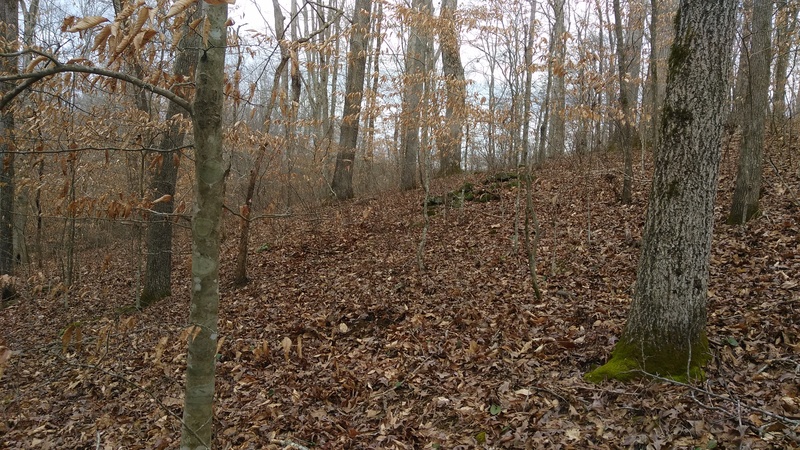 I don’t know if early Georgia farmers, Cherokee indians or indians that pre-date the Cherokee created this wonderful mounds on the hills surrounding hurricane creek, but with metal detector in hand I was determined to find something that pre-dated the 20th century. 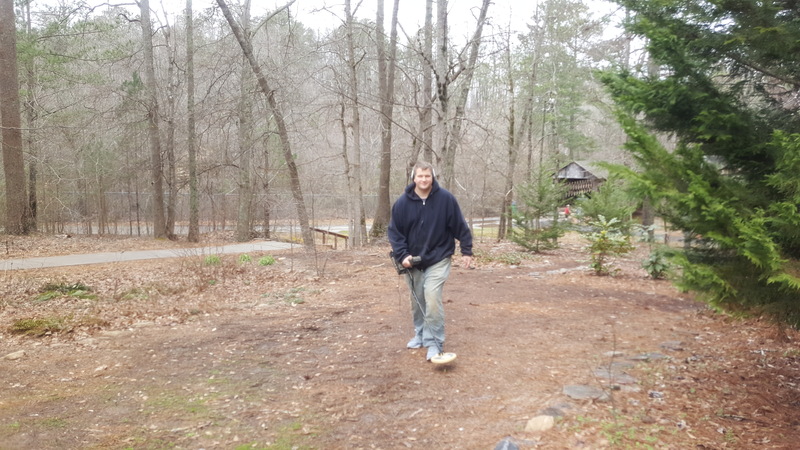 I was using a White’s Eagle II SL for this metal detecting excursion. 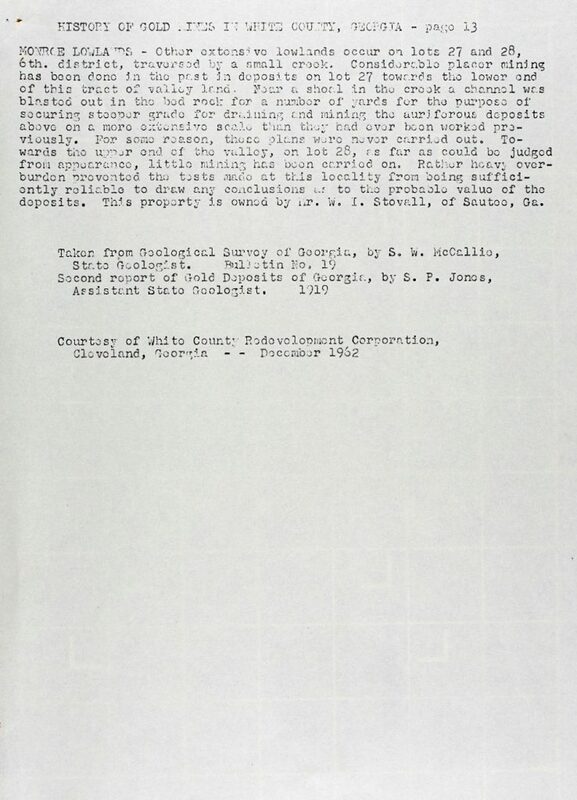 I had previously hunted the area in question using the same detector, but this time I turned off discrimination. 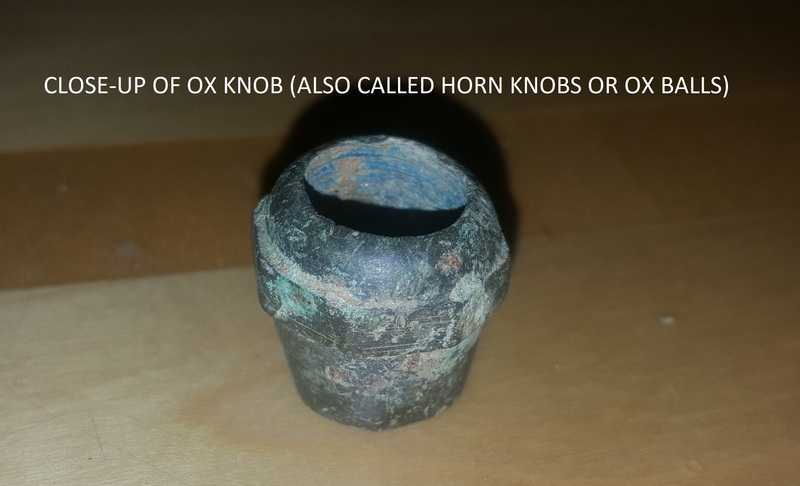 I wanted to find absolutely anything that might be from antiquity and the most likely would be ferrous relics such as an axe head or early tool. 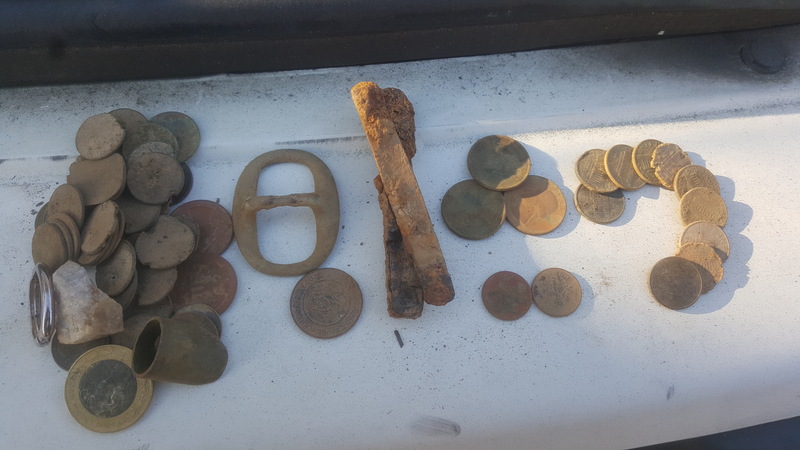 Metal detecting is fun and I enjoyed every moment this afternoon. Did I found treasure, no, but the real treasure is in the hunt. Get out there and enjoy life to the fullest!